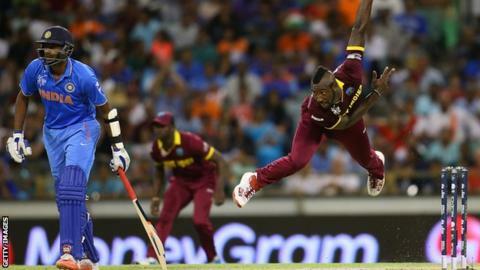 Nottinghamshire have held initial talks about signing West Indies all-rounder Andre Russell to play in the 2016 T20 Blast, reports BBC Radio Nottingham. Notts have already signed Dan Christian and want another overseas signing for the shortest form of the game. Director of cricket Mick Newell said the club have had discussions with several agents, including Russell's. The 27-year-old has won 86 one-day international caps and played Twenty20 cricket for Worcestershire in 2013. But he has only played one Test - against Sri Lanka in November 2015.